It was 12:30 and we had to go extension. We got to the ICT and our extension teacher told us to go to the Tusitala so we did. We had to go onto our site to see what we are doing. I was reading and reading and then I saw what we are doing. It was making pizza for Labour Day. I was excited! But do you know why we had to make it? Well, we had to make it because of Labour Day. We first had to answer some questions like..What does this day celebrate and When did New Zealand first celebrate it? I answered all of it up to five and then it got to the last question which is What is it meant by the term of "Liberals. "It was a very hard question then me and my partner Jordenne got it. The bell rang for lunch time. We had to stop what we were doing and go eat our lunch and have a break time. During lunch time Mrs Tele'a had to run and get the things to make the pizza's. An hour later our break time finished and we had to go back to extension. I smelt what our extension teacher had bought and we went and made it. Jordenne and I grabbed the tomato paste and we spread it onto the dough. We then grabbed a whole heap of cheese and then we spreaded that on it. We finished putting on the cheese and then we grabbed some ham. Jordenne cutted it up into 28 pieces to represent the first day we celebrated Labour Day. We put on 8 pepperonis but then our teacher spotted that we didn't have enough cheese so then we put the cheese over the pepperoni. They represented the achievement of workers. 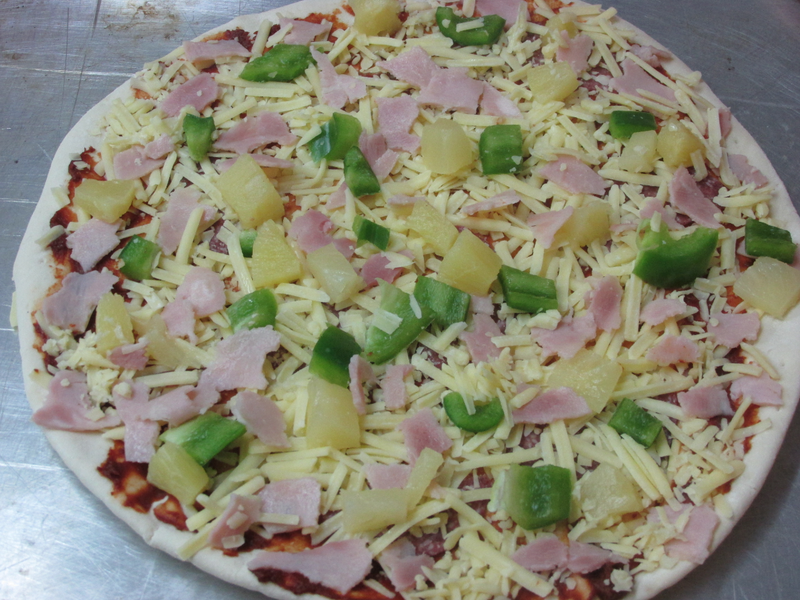 Jordenne and i then grabbed some healthy things like capsicum and pineapple and we put it on the pizza. We finished just in time before the alarm rang on the phone. We went to put it into the staff oven. It was 25 minutes past and Mrs Tele'a went and grabbed it out of the oven. It looked so nice. "Who wants to do the prayer before we eat"? said Mrs Tele'a and Collin replied "Me" so he said a short prayer. We started to cut our pizza up and Jordenne and I went to deliver some. We went and took it to Mrs Nua and she loved it. She and I got back from the delivery and I gave one to our extension teacher (Mrs Tele'a). We were trying to give one piece to Miss Va'afusuaga and then she popped in the hall kitchen to check what we were doing and then we gave her one. She took one bite and she loved it as well. Before my partner and I ate we washed our hands because it was all messy. We dug in and we ate and ate and then we finished it. It was so yum. My favourite part was putting the ingredients on the pizza dough. It was really cool being your partner! And making Pizza for Labour Day. Our Pizza tasted really nice! It was fun! I hope you have a great Labour Holiday with your family and friends!! !